East Coast Railway has published a Advertisement for below mentioned Posts for imparting training in Carriage Repair Workshop, Mancheswar under Chief Workshop Manager, East Coast Railway, Carriage Repair Workshop, Mancheswar under Apprentice Act 1961 and Apprenticeship Rules, 1962. Check below for more details. Educational Qualification : The Matriculation (matriculate or 10th Class in 10+2 examination system) with minimum 50% marks on average and having I.T.I certificate in relevant trade is compulsory. No extra weightage shall be granted to candidates having higher qualification. The candidate must have passed the minimum qualification as mentioned at Srl.No.3. Fitter / Sheet Metal Worker / Welder / Machinist / Mechanic (M.V) / Carpenter: Passed 10th class Examination under 10+2 system of education or its equivalent with minimum 50% of aggregate marks. Electrician: Passed 10th class Examination under 10+2 system with Science (with physics and chemistry) as one of the subjects or its equivalent with minimum 50% of aggregate marks. Refrigeration & A.C. Mech. : Passed 10th class Examination with Science, (Physics, Chemistry) & Mathematics under the 10+2 system or its equivalent with minimum 50% of aggregate marks. Wire-man: Passed 10th class Examination under 10+2 system of education or its equivalent with minimum 50% of aggregate marks. Painter: Passed 10th class Examination under 10+2 system of education or its equivalent with minimum 50% of aggregate marks. Pay Scale: Stipend will be paid as per instructions issued by railway board from time to time.. The eligible candidates in terms of notification will be selected in order of merit on the basis of percentage of marks secured in their Matriculation or equivalent examination (State, Central & CBSE). Also a trade wise list of candidates will be prepared in order of merit based on %age of marks obtained by them in Matriculation or its equivalent examination. The applications received through Employment Exchange and directly should be considered at par and no preference will be given to any source of application. If any two or more candidates having the same marks, the candidate having older age shall be preferred. In case the dates of birth are also same, then the candidate who passed the matriculation exam earlier shall be considered first. How to Apply : Eligible candidates may send their application in the prescribed format along with one recent passport size photograph, copies of relevant certificates, two self addressed envelope (size 11 cm X 5 cm) duly affixing Rs. 5/- Stamp and superscribed as the “Application for training under Apprentice Act” through ordinary post. 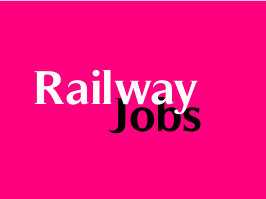 Address to sent Applications : The Workshop Personnel Officer, East Coast Railway, Carriage Repair Workshop, Mancheswar, Bhubaneswar - 751017 (Orissa).